Red-D-Arc UK was recently awarded the contract to supply a fully-automated welding system to QA Weldetch, a UK company which is a large subcontractor to companies involved in the manufacture of subsea components, these companies being FMC, Cooper Cameron’s, GE, Aker etc.. This system was designed to clad pipe up to a maximum length of 6.5 meters and to a minimum diameter of 125mm. Red-D-Arc UK was invited into the customer’s facility to measure the facility so that the customer could clad the maximum length of pipe that their facility would physically allow. Our engineers visited the site then provided the customer with the GA, showing what RDA’s design and solution was for them. The system consists of Key Plant – RDA fully automated control system, 7 ton hollow bore head stock, 2 sets of floating pipe supports (to compensate for any bend in the pipe), Fronius welding power sources and Fronius hot wire power sources. As a leading supplier of weld automation equipment Red-D-Arc is ready to meet the ever evolving needs of the welding industry. 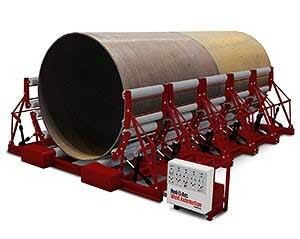 We are your one stop shop for sales, lease and rental of welding positioners, column and booms, rotators and other weld automation products, available through our global distribution network. We also design and build bespoke turnkey weld automation packages which can include integrated controls – such as digital touch-screen interfaces and camera systems – for your complete project requirements. Our team of engineers will provide you with weld process recommendations and set up all your equipment for optimized reliability, functionality and productivity. 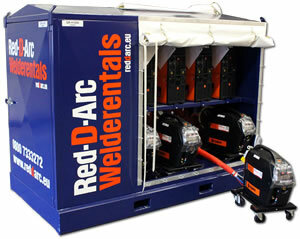 Learn more about Red-D-Arc Weld Automation products and services. For more information on the Global Welding Equipment Market 2015-2019 report visit the Research and Markets website.